I built this device to have a simple way to monitor the status of an application running on Heroku. If you work in a office as a developer, it is an important information to have already available! 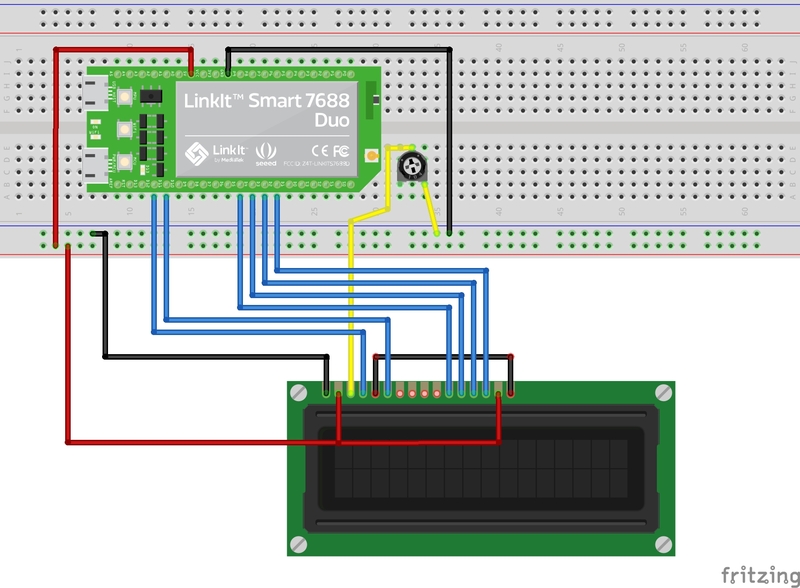 The device I built use the LinkIt Smart 7688 DUO that grab information from heroku and show some information on a 16x2 LCD. Connect the device to your PC, through usb (use the port on the bottom side, like in the photos). Even if the script is built to monitor an heroku application, it is very easy to build another script and show on the LCD something different without changing the arduino side of the code. If you want to change these requirements, you have to change the arduino side. The script to run in the linux side of the board. This code should be wrote on the device through arduino ide. This basically downlod informations from heroku for my application running on heroku platform. It download a JSON and display some field on the console. to generate a token execute, heroku auth:token from your environment.